Deadline May 15, 2015. We have raised $9700 so far. The budget will cover programmer and workshop stipends, materials for installation and team travel expenses. I have been invited to the 12th Havana Biennial in Havana Cuba where I will collaborate with a team to present an indoor projection installation and youth workshop. To learn more about the project see this post, then come back here to choose your sponsor plan. See the full pdf proposal here. $100 makes you a Pabellon Sponsor and gets you an original 4″ x 5″ color drawing that is part of the installation design for the Havana Biennial. Or maybe you would like to be the Habanero Sponsor and come to Cuba with us? Join the team for the opening and dinner and a private tour of the Havana Biennial by the curator. Check out the sponsor plans below and contact me for more information at learn@sube.com. All rewards will be delivered by end of June, 2015. Show your support and receive a thank you card with a special line drawing from me! Receive: A signed limited edition (1/100) 5″ x 8″ print from the Havana Series. All artwork will be delivered by June 30, 2015, after the Havana Biennial. Receive: An original 4″ x 5″ study for the actual installation. Each drawing is part of a unique 1 of 50 numbered collection and created on the fabric that will be used for the actual projection. Each piece is handcrafted, dry mounted and ready for framing. (Photo gallery coming soon). All artwork will be delivered by June 30, 2015, after the Havana Biennial. 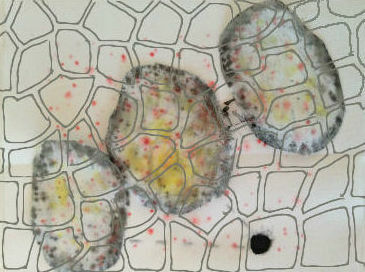 Receive: One signed limited edition print or one original art piece from the “Particle Window” series (appx 20′ x 25′). One signed official Havana Biennial poster. One signed official catalog of the “Between, Inside, Outside” exhibit. Studio visit in Taos after the exhibit for a recap and behind the scenes tour of the artists work. All artwork will be delivered by June 30, 2015, after the Havana Biennial. Receive: If you get yourself to Cuba: Artist will give you a private tour of the exhibit, “Between, inside, Outside”. Join the Particles team for a fun dinner and evening out in Havana. Copy of the digital program for fun viewing at home. One signed limited edition large scale print (24” x 36”) from the artist’s Havana Biennial series. One signed official Havana Biennial poster. One signed official catalog of the “Between, Inside, Outside” exhibit. All artwork will be delivered by June 30, 2015, after the Havana Biennial. If you can not get to Havana: Studio visit in Taos after the exhibit for a recap and behind the scenes tour of the artists work. Copy of the digital program for fun viewing at home. 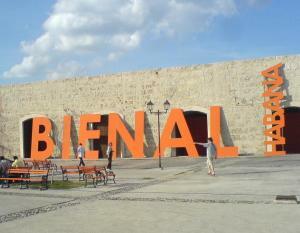 All artwork will be delivered by June 30, 2015, after the Havana Biennial. Receive: An original large scale art piece from the “particle window” series, (appx 24 h x 48w). Studio visit in Taos after the exhibit for a recap and behind the scenes tour of the artists work. All artwork will be delivered by June 30, 2015, after the Havana Biennial. Receive: Visa to travel to Cuba for the Havana Biennial (does not include flight or travel expenses). Reservations at hotel for Biennial guests (*Not including Hotel fees). Private tour of the Havana Biennial led by Royce Smith, co-curator of the 2015 Havana Biennial. Invitation to the opening dinner for our collective exhibit, “Between, inside, Outside”. Name of individual or company logo on the official banner outside of the Havana exhibit hall. Name of individual or company logo in the official catalog of the “Between, Inside, Outside” exhibit. One signed limited edition large scale print (24” x 36”) from the artist’s Havana Biennial series. One signed official Havana Biennial poster. One signed official catalog of the “Between, Inside, Outside” exhibit. All artwork will be delivered by June 30, 2015, after the Havana Biennial. The budget will cover programmer and workshop stipends, materials for installation and travel expenses.